A claim to righteousness in international affairs is fundamental to Canadian exceptionalism, the idea that this country is morally superior to other nations. The labor movement has also seen jingoism, militarism, racism among labor leaders, anti-communism, and a lack of solidarity (a sine qua non for the dignity of labor). 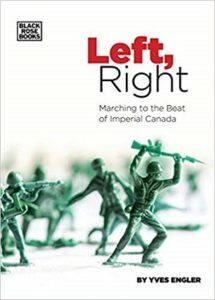 This article was posted on Monday, September 17th, 2018 at 9:00am and is filed under Book Review, Canada, Imperialism, Labor, Original Peoples, Socialism.